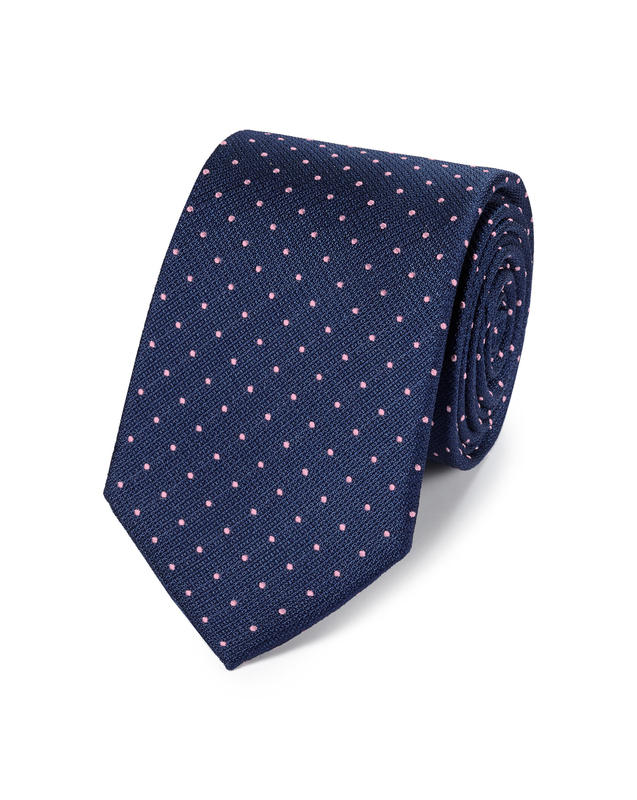 Response from Charles Tyrwhitt: At Charles Tyrwhitt, we aim to use the finest quality fabrics in our products to add a touch of luxury to your order, so I am sorry you did not like the material of your ties. These are our new stain-resistant ties which have been receiving excellent reviews so far, but, we do understand that everyone has a different taste. This is why we offer a range of classic, luxury, and blended ties so that there is always something that is suited to you. You are of course welcome to return these ties to us for an exchange or refund if preferred. Perfect combination for almost any suit.